I recently received some fresh artichoke from my friends garden and I wanted to show you how to make different dishes with them. 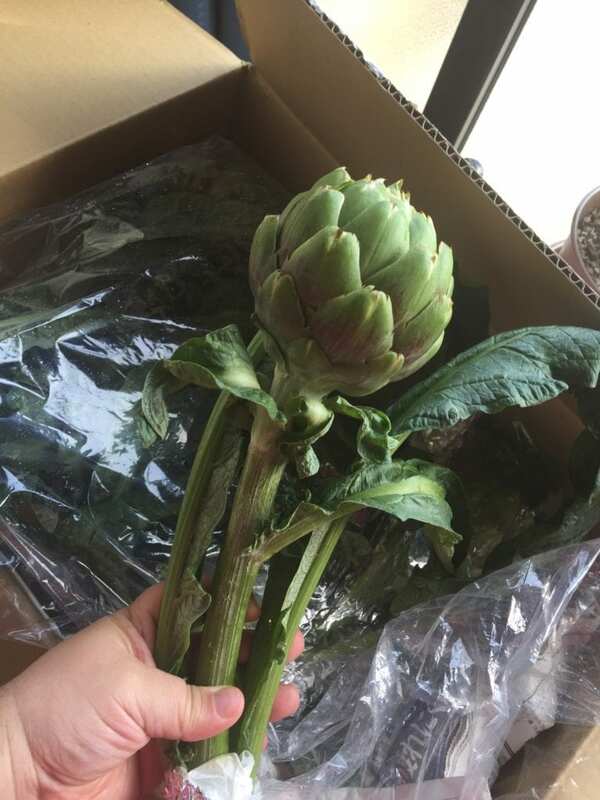 Artichokes are not normally available in Japan so I was really excited to receive some! The traditional way to eat artichokes is usually with some remoulade sauce, but for this recipe I wanted to introduce a spinach dip that is just as delicious as remoulade and that can be accompanied with various other vegetables! My uncle always used to make this dip for family gatherings. It would always be served inside a loaf of hard-crusted bread where you could dip different pieces of bread and vegetables inside of it. It goes well with carrots, cucumber, raw cauliflower or broccoli, cherry tomatoes, and so on. 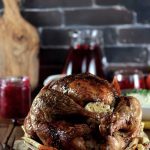 It’s been a family favourite for a number of years so I’m happy to share the recipe with you! I love this dip because it’s so easy to make and it’s pretty low-calorie and low-carb! 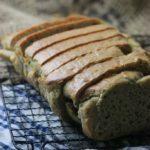 This recipe makes uses four artichokes, but I usually like to carve one and take the fuzzy centre out and pour the spinach dip inside! It makes it into a nice serving bowl and you can dip the veggies and the artichoke leaves inside it. Artichokes are really easy to prepare. The easiest way is to steam them or boil them. I have a Japanese microwave oven where I can steam them inside. I’ll set it to 5 minutes for example and it’ll spray water inside the oven while microwaving them. This way it steams them just like a normal steamer! 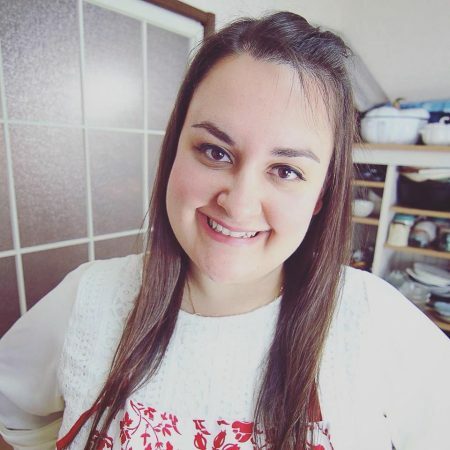 Obviously no one outside Japan has a Japanese microwave oven so you can just add the artichokes over a plate and cover them with either saran wrap or a plastic bag. 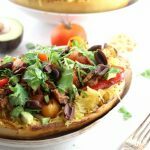 Microwave for 5-6 minutes per artichoke and they will be ready! The steam that gets emitted stays in under the plastic and this cooks them perfectly! You can also steam them over a stove top in some water, but that usually requires more dishes and takes more time! 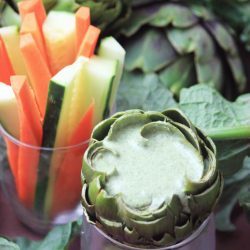 A delicious low-carb spinach dip served with fresh artichokes and vegetables. Add all of the spinach dip ingredients to a food processor and blend until smooth and all incorporated. Trim the tops and ends of leaves from the artichokes. Peel the carrot and cucumber (if you wish). Slice the carrots and cucumber into bite-size sticks. Place the artichokes on a plate and cover with either saran wrap or a plastic bag. Microwave for 5-15 minutes until a fork can pierce through the artichokes. 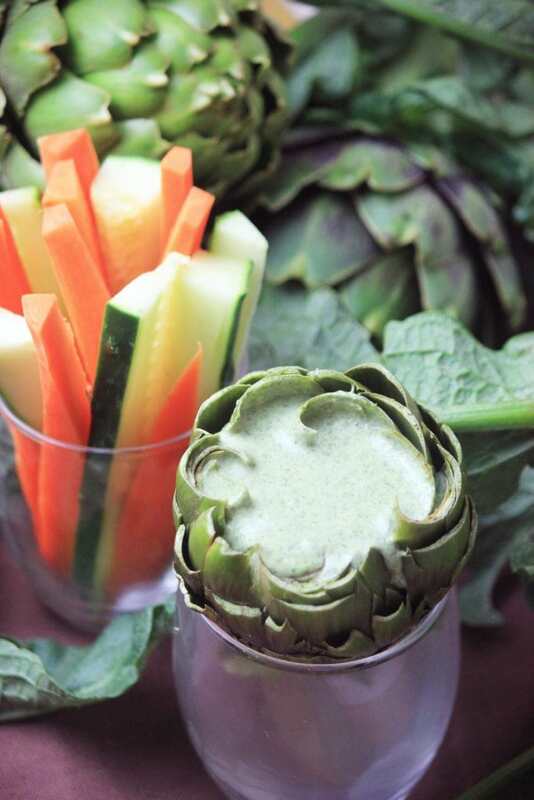 Serve the artichokes and stick vegetables with the spinach dip. You can carve the middle of the artichokes by pulling the inside leaves and craving the fuzzy pieces out. 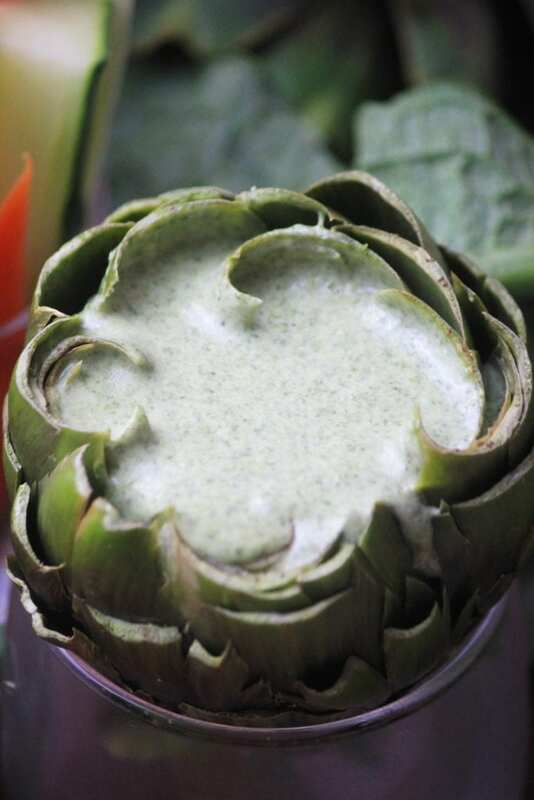 Pour the spinach dip inside the artichoke hole for a nice presentation idea! I just did the dip and didn’t use the artichoke, but it was amazing! Will be my go to dip from now for parties.